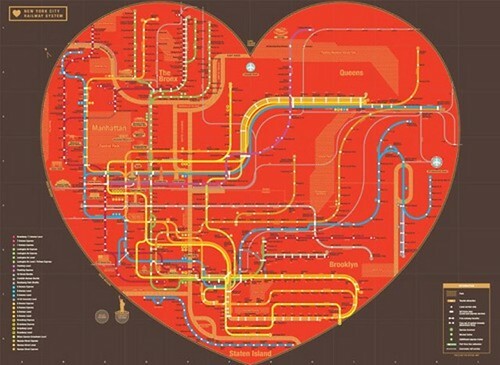 nycsubway-heart, originally uploaded by the biella. So an email went out to Debconf-announce with all this and MORE information but it is worth highlighting the talks/events as they are great. We look forward to having you in New York City! started. Be there at 7:30pm in Davis Auditorium on August 1st! fermented, cultured and alcoholic things your stomach can handle! heavily involved with drafting version 3 of the GPL. doing next to encourage more artists to try the Free route. telescopes, or any other topics of scientific interest. exciting and a privilege to have her speak at DebConf! out with your friends outside and have a good time. pitch, in his Debian kilt! chance to experience some local culture and to relax after a hard day at the beach. for you to easily view in one spot. I have a few new (academic) publications out and most are on my website. Hope to get a copy of the Annual Review of Anthropology up there in the fall! 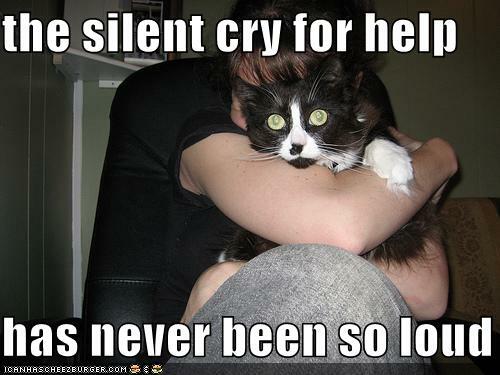 silent-cry-for-help, originally uploaded by the biella. I am currently coordinating volunteers and can use your help! Here is a list of our current and most pressing volunteer needs. We are most in need of finding help for the front desk and for assisting with the talks (starting/ending on time and fielding questions). This year if you are a coordinator for a track you will be in charge of doing this, so we only need volunteers for non-track talks. Volunteers get a free, volunteer tee-shirt and a huge huge thanks from the orga team who simply cannot do this without you! One of my favorite conferences is HOPE, which I have missed the last 2 times as I was away from NYC, so I am glad I am around this year. I find it especially valuable when there is some controversy brewing in the air, as there is with Wikileaks, Adrian Lamo, and Manning. I am also giving a talk, description below, with a fabulous postdoctoral researcher, Finn Brunton, who works on spam! But we will be talking about pleasure, trickery, and exploitable media for activists. Our talk is late, like really late: 11:00 PM on Saturday night. At first I was a bit annoyed at the scheduling but then I figured, when will i ever give a talk at 11:00 PM? Following a brief lecture on Project Chanology, the question will be posed: how can we harness the power of lulzy virality, of pleasure, of trickery, of spectacular trolling for purposes above and beyond sharing the wisdom of Advice Dog? It�ll start with a brief look at great activist media in the past, from Guernica and the picture of the whole Earth to projects by the Yes Men – how they spread ideas and helped people get informed, organize, and act. What makes the creation of lulzy memes different? Learn about how to create exploitable forms and rapid variations, and mechanisms for bringing the best stuff forward. Can we make media memes with goals beyond lulz, and teach activists who’ve never heard of 4chan to make them too? Part lecture, part workshop, this will feature cameos by Rageguy, Pablo Picasso, V, alt.pave.the.earth, Kathe Kollwitz, Courage Wolf, Stewart Brand, Sarah Palin, Batman, Goya, Philosoraptor, Adolf Hitler, Trollface, Shepard Fairey, Joseph Ducreux, David Cameron, lots of Spartan warriors, and lots and lots of (trollish) cats. I don’t remember how but I remember when I first stumbled on an “Annual Review of Anthropology.” Reading the first one was like stumbling accidentally into a pirate chest of gold doubloons. I was simultaneously flabbergasted, elated, and somewhat annoyed. I could not believe how helpful of a resource the articles were, how interesting it was to learn about the state of the field (since each review covers one topic) and what a time saver it was in terms of research. I was annoyed only because no one had really properly clued me into its existence and felt like it was one of the things that every graduate student should know about like before they even entered their program. When I got asked to write one a few years ago, a mix of conflicting emotions welled up. I was honored and horrified at the same time for I knew that it would require some of the heaviest lifting I have ever engaged in, which turned out to be the case. I almost quit twice but managed to turn in the first draft on time, before the deadline (thanks to a scheduled trip to NZ). After a parade of months of reading, drafting, and rethinking, the uncorrected proofs are now online on the ARA wesbite (you need library access to fetch it and the link is tiny and on the right hand corner). The corrected proofs will be there in a few months but all the mistakes at this point are typos, although I would check back to get the final copy for the purposes of citation. There is a lot more I want to say about the piece and the process of writing it but I will leave such ruminations for future posts. For now, it suffices to say that with a piece like this, you become a dart board, as my friend cleverly put it the other night. I am sure I have overlooked folks (I was working within very thrifty parameters, 6000 words, 150 citations though I managed to get a bit more) and I could have pushed everything further than I did, though this again was very hard to do given the constraints. I decided in the end to be as inclusive as I could, which meant sacrificing a few lines of thought, which I hope to pick up in the future. The part I like the most is the last bit, where I conclude by with the help of systems administrators and spam.